I confess that I'm a grown up who remains to be very kid at heart. Despite the numerous priorities and tasks to be accomplished, I admit that some simple things are more than enough to make me happy. I may have a complicated life but at the end of the day, some shallow things are more than enough to raise my downing spirits and cure my unpredictable sadness attacks. One thing that never fails to alleviate my drama and self-pity moments is.... FOOD! LOL You see, I told you I'm very kid at heart. A little food bribe is enough to alter another gloomy day. I have an endless list of all the comfort and recovery food I love. 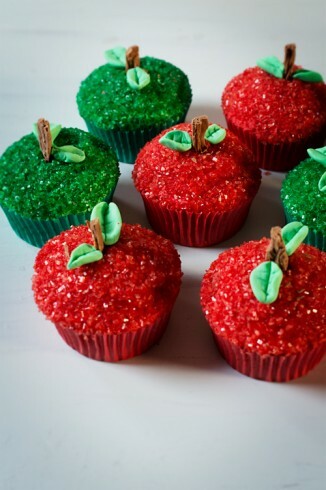 But I guess one of my favorites would be sweets, particularly CUPCAKES! I fell in love with the pastel colors of these cupcakes. This looks like a yummy strawberry ice cream topped with Pistachio nuts. A grouchy day can be cured by this piece of pink beauty. I never saw anything like this in my country yet. The entire cupcake is just covered with frosted icing. For the Japanese anime lovers, you will surely love this. 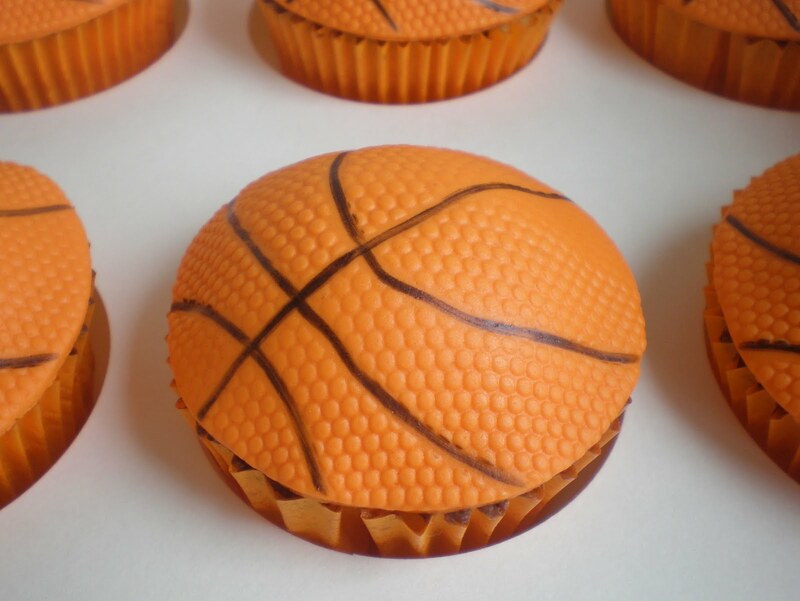 Another unique cupcake I never imagined to exist. Someone please bring or make something like this in the Philippines. The "cheesy" cupcakes for the hopeless romantic in me. These cupcakes are for the proud members of the female populace. Though honestly, I would have second thoughts in eating these cupcakes. I already enjoy looking at them. Cupcakes that are so me, the little black dress addiction. Why cupcakes didn't become a trend when I was still a kid? A princess should have her own castle. I find this simple yet very creative. 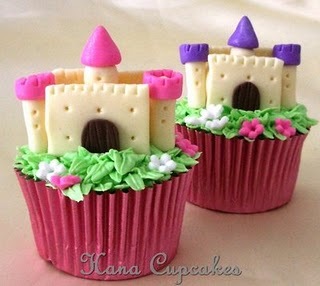 I would never have thought of turning biscuits to miniature castles. Do you love cupcakes too? P.S. Calling the attention of my friends from the Philippines! You might be interested owning any of these books. I'm giving them away for free. See my previous post for instructions. Aren't these all adorable! It makes you wonder if the popcorn cupcakes tastes like popcorn? Have you ever eaten Jelly Bellys? The jelly beans have all different flavors and one of my favorites is Popcorn flavor! Hugs! 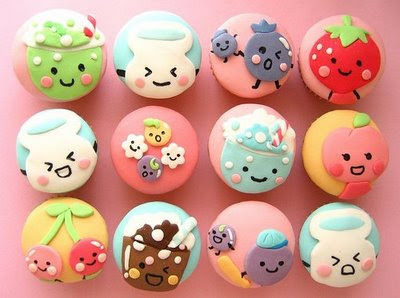 HI Diane!These are the cutest cupcakes I've ever seen. P.S just found your blog. LOVE the header, it's so simple and beautiful! *giggles* I love this post! The Cookie Monster cupcakes is so cute!!!!!!!! I always remember cupcakes but nothing as great as these beautiful cupcakes. The decorations are wonderful. The Cookie Monster is cool and the teacups are adorable. WOW, they are all just amazing. Thanks for sharing these. They are beautiful. Cupcakes are works of art these days. aw... so CUUUUTE! 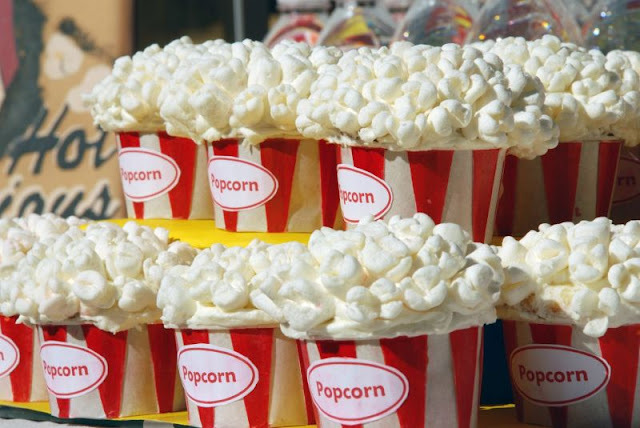 :) i'd love to have some, though i doubt i would be able to eat them! Ang cute nung Disney Princesses na cupcakes. This post made me drool. Weeee. 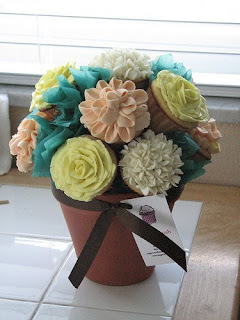 I don't think I've ever seen cupcakes as creative as you have shown. I loved the flowered ones like the roses and the terra cotta pot with roses. My favorite is the cupcake in a cup. Looks like those must have take a looooot of time to create. In an earlier post, you showed a wonderful infinity type pool overlooking the ocean. I hope you do a post on that soon. I wanted to be swimming in both the pool and ocean! Oh you have a blog giveaway too! I wanna join because I'm curious to find out what "Chicken Soup for the American Idol" is all about. Hahaha! I'll join mamaya, but I'll promote my blog giveaway muna to you because it's a good one --- please join and invite your readers? And about this post... would you believe that I've only been and have only eaten a Sonja's cupcake once? Yeah. I love cupcakes/cakes but Sonja's and the likes can be very expensive, sakit sa bulsa so icacake ko nlang! Hahahahaha! Sometimes I eat nlang yung mga sa bazaars kasi mas affordable! Those are the type of cupcake that make me feel destructive when I bite in. I love them! :) By the way-- Paul Coelho is such a great choice! I *love* The Witch of Portobello! Sumakit ang ngipin ko just by looking at the sweet goodies here lol!